This week we’ve built in an article that digs a little bit deeper into the wall of wood projected to arrive in New Zealand and the investment in infrastructure that’s going to be required to cope. NZ log exports have tripled in the last decade and could at least double again over the next decade. Ports in a number of regions are already struggling to cope with the increased congestion, storage and loading requirements. Regional highways and rail links are already working through issues around increased wood volumes being transported around the country. Forestry operations, ports and transport companies are also addressing these issues with a number of projects on the go. In the tech space this week we’ve included a couple of stories designed to get you thinking. The first is linked to the increasingly difficult task of meeting skills shortages. As most of you will be aware, to remain competitive, the mining industry in Australia has for a number of years been undergoing a major technological shift, automating many of its processes and bringing more unmanned vehicles into their mines. 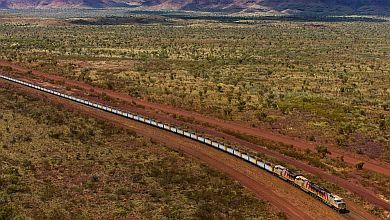 Rio Tinto for example has just delivered iron ore using the world’s first ever long distance, heavy haul driverless trains. 28,000 tonnes of iron ore have been carted a distance of 280 kilometres. It wasn’t being controlled from an office nearby but rather, a centre in Perth, some 1500 kilometres away. With increased automation though comes the need for quite a different range of skills required by Rio’s employees – as is being evidenced in most industries – including our own – just now. The other story is linked to drones. Sure, they’re now being used regularly by most forest companies for a raft of day-to-day operations. Pilots have been trained throughout the industry both in New Zealand and Australia. Drones are now just another technical tool being carted around in the back of the forester’s truck. Like the Australian ore trains though, drones can now be flown autonomously. Without human intervention, they’re now able to take off, do what they’re meant to, come back, recharge and then get sent back up into the air. You can check out a video interview this week on the company leading this particular technology and get their thoughts on the future of autonomous drones. Finally, remember, the first leg of the Forest Industry Safety & Technology 2018, (www.forestsafety.events) event will run in Rotorua next week, on Wednesday 8 August. The second leg, will be running in Melbourne, the week after on Wednesday 15 August. It’s going to be another full house. Already numbers are well over the 300 mark for the series so if keen on saving a space, best get onto it today. 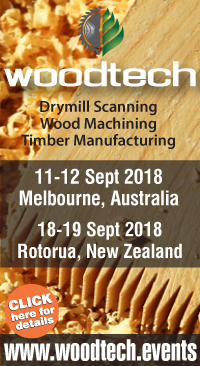 There’s also just one week remaining for local wood producers who want to access discounted early-bird registrations (finish on Friday 10 August) to this region’s major wood manufacturing event, WoodTECH 2018. It’s been eight years since an event of this size has been run for local mills in either Australia or New Zealand. Multiple registrations are being received from wood processors for this series. Full details on the event – or registrations – can be made on the event website, ( www.woodtech.events). That’s it for this week. Enjoy this week’s read. Are we ready for the 'Wall of Wood'? The front of SuitX’s East Bay headquarters is an empty room. No reception desk, no furniture — it’s about as unassuming as robotics office spaces get. 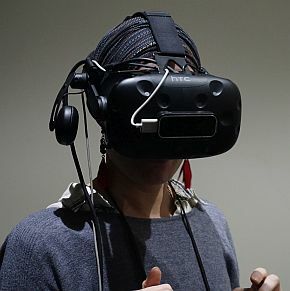 For now, it’s a trial space, where perspective clients can try out the startup’s soft robotics exoskeletons in person, to see if they’ll fulfill their specific industrial or medical needs. Through one door is the clinical room. It’s an all-white space that looks like some budget movie attempt at a doctor’s office. It’s here that we see a partially paralyzed man walk slowly, but determinedly, across the room, with the help of the Phoenix modular exoskeleton and a walker, as his wife looks on, beaming. Through the other door is much closer to what you’d expect from such a company: a huge warehouse area that doubles as an office and testing space. Walk farther, and you’ll see the manufacturing area, where employees build devices on huge industrial machinery and package them up to send out. Like many startups in the robotics world, the lab’s exoskeleton work was developed for the benefit of the military. The creation of a lightweight, wearable robotic device could help soldiers relieve some of the strain of lugging giant packs long distances over rough terrain. “We really focused on simplicity, right from the beginning,” says Tung. “Driving the cost down, so more people can have access to these devices. If you have a really good device that costs $100,000, not a lot of people can have access to them. On the industrial side, we’re focusing primarily on back injuries, leg injuries and shoulder injuries with the BackX. It’s designed to support the weight of the user’s upper body and whatever weight he’s holding, transferring that weight to the legs, bypassing injury-prone back muscles”. It's these exoskeletons that are being explored for industrial and manufacturing applications. Consider a mill situation where workers are lugging around larger sections of timber. The opportunities start then to stack up. An AU$4 million joint funding program aimed at growing South Australia's forest and forest products industry is officially open for applications. Federal Assistant Minister for Agriculture and Water Resources Senator Anne Ruston and South Australian Minister for Primary Industries and Regional Development Tim Whetstone have released guidelines for the Mount Gambier National Institute for Forest Products Innovation fund. Researchers with projects to grow Australia's forest and forest products industry are encouraged to apply for funding between AU$50,000 and AU$500,000. Minister Ruston is encouraging innovative applications to continue growing the plantation forest and forest products industry. "The National Institute for Forest Products Innovation fund is aimed to seize upon opportunities to harness the potential of our forestry assets, and maximise the contribution of the industry to our regional and national economies," said Minister Ruston. "The fact that one of the National Institute for Forest Products Innovation hubs is located in Mount Gambier demonstrates the importance of South Australia and the Green Triangle to Australia's forest and forest products industry." Minister Whetstone said the fund will provide important opportunities to boost research and development in the forest and forest products industry. "The forest and forest products industry is a significant contributor to the state's economy and an important employer in our regions. 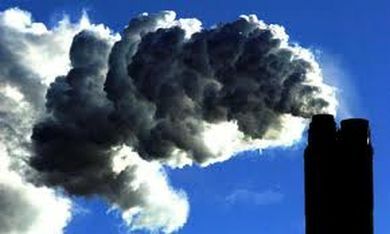 The industry in South Australia generates over AU$2 billion in revenue annually," said Minister Whetstone. "This research funding will play an important role in exploring and facilitating innovation in areas such as forest management, timber processing, wood fibre recovery and value adding, advanced manufacturing and the bio-economy. "Priority areas for funding in the plantation forest and forest products industry include the development of new products, innovative, safe and efficient workplaces, and precision management; as well as tree growing, and robotics, automation and artificial intelligence." Applications for the National Institute for Forest Products Innovation fund close on 7 September 2018 . For more information and funding guidelines visit www.nifpi.org.au. In the midst of an investment growth phase, New Zealand prefabricator XLam is expanding its senior management team with the appointment of John Eastwood as the head of business development for Australia and New Zealand. 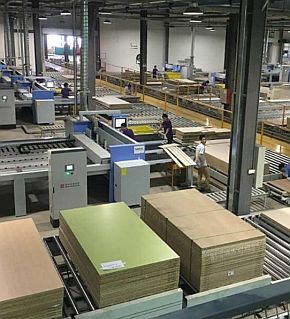 XLam is Australasia’s only manufacturer of CLT. Mr Eastwood has a bachelor’s degree in architecture from Unitec and has spent most of his career in the building materials, manufacturing and construction sectors. He joined XLam in a business development role at the beginning of 2018. He has previously held country manager and senior commercial management roles with a number of multinational and national building material manufacturers and suppliers to commercial and residential construction sectors. Mr Eastwood said he was excited to be taking on an important business development and leadership role at a tipping point for XLam and CLT. “The demand for CLT in Australasia has grown to a point that we opened a second plant earlier this year to support our plant in Nelson (NZ). XLam chief executive Gary Caulfield said that the company was fortunate to have Mr Eastwood in a top role. “John has become familiar with XLam from the inside over the past seven months, and we are pleased to have him now in one of the most important roles in the business,” he said. Not far from Tel Aviv a drone flies low over a gritty landscape of warehouses and broken pavement. It slowly approaches its home — a refrigerator-sized box inside a mesh fence, and hovers, preparing to dock. It descends like some giant bug, whining all the way, and disappears into its base where it will be cleaned, recharged and sent back out into the air. This drone is doing the nearly impossible: it’s flying and landing autonomously and can fly again and again without human intervention — and it’s doing it all inside a self-contained unit that is one of the coolest things I’ve seen in a long time. The company that makes the drone, Airobotics, invited us into their headquarters to see their products in action. In this video we talk with the company about how the drones work, how their clients use the drones for mapping and surveillance in hard-to-reach parts of the world and the future of drone autonomy. It’s a fascinating look into technology that will soon be appearing in jungles, deserts and war zones near you. On your wood processing site – security – log stock pile checks …. This may well be the way of the future. Check out the clip below to learn more. Special correspondent Gavin Evans finds NZ log exports have tripled in the last decade and could at least double again over the next decade. He takes a detailed look at the wave of port, rail and road investment needed to cope with this 'wall of wood', let alone an even bigger one planned under the Government's 'Billion Trees' programme. All over the North Island, ports and KiwiRail are scrambling to deal with a 'wall of wood' that has tripled since 2008. They say they will need to invest heavily again if they are to cope with another potential doubling of the harvest in the coming years. High log prices because of Chinese demand could easily trigger another surge in the 'wall'. 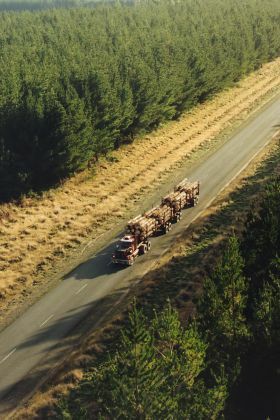 The ports of New Plymouth, Gisborne, Napier and Wellington are straining to keep up with the demand to move logs from forests to ports and will have to work hand-in-hand with a capital constrained KiwiRail to avoid regional roads and highways being pounded into potholes by fleets of logging trucks. For example, Port Taranaki is hoping a planned rail service from Whanganui will help it capture a bigger share of the wall of wood coming out of the lower North Island. The company has been working with KiwiRail and foresters and says it is close to settling a new service that could deliver between 80,000 and 120,000 tonnes of logs to the port annually starting early next year. Hyne Timber is proud to be partnering with WoodSolutions to supply both lightweight and massive timber elements for the construction of a unique, full-scale multi-storey timber construction model at Holmesglen Institute, Chadstone in Melbourne. Laurence Ritchie, WoodSolutions Mid-Rise Advisory Program’s Cost and Program Estimator said the model, once completed, will provide a real to-scale-example of lightweight timber framed and Cross Laminated Timber mid-rise construction elements and systems. “The model will be three storey’s in height and is intended to demonstrate the structural, fire rating, and acoustic systems commonly seen in mid-rise timber construction”. “In partnership with our timber suppliers, we will be hosting a series of one-on-one discussions, group seminars and displays, hands on training and workshops, student education sessions etc to a broad range of stakeholders throughout the design and construction sector. Having actively worked amongst this sector for a number of years, the questions we field and the apparent unknowns led to the idea of this model being developed so people can see, touch, feel, learn and understand timber solutions in mid-rise construction for themselves.” Mr Ritchie concluded. Hyne Timber, a gold sponsor of the WoodSolutions Mid Rise Advisory Program, welcomed the idea to construct the mock-up and look forward to showcasing the elements once completed. According to Bloomberg, the Trump Administration is considering more than doubling proposed Chinese tariffs. Earlier in July, President Trump threatened 10 percent tariffs on more than $200 billion worth of Chinese exports to the U.S. Bloomberg has reported that Trump is expected to increase tariffs to 25 percent. The move is thought to be a negotiating tactic with the Chinese government - aimed at gaining the upper hand in the trade war. Bloomberg's correspondent, an anonymous White House staff member, said Trump doesn't wish to fundamentally change U.S. economic policy. Beijing has already reacted angrily and has accused Trump of "blackmail". It has threatened to retaliate. The list of $200 billion worth of Chinese products, running around 200 pages, includes industrial goods and chemicals, consumer products, and wood products. If Trump follows through, just under 50 percent of all Chinese imports would be subjected to tariffs. Wood products facing a tariff include oak, beech, maple, ash, cherry, mouldings, rods, particleboard and various types of plywood. Furniture items include wood chairs and furniture designed for offices and kitchens. Wood pulp products and paper products are also on the list. The proposed tariffs would be on top of 25 percent tariffs that the Trump administration has assessed on $50 billion of Chinese goods: $34 billion of which took effect July 6. China then fired back with tariffs of the same amount. Because China imported just $130 billion worth of products from the U.S. last year, it cannot fire back with matching tariffs again. If China wishes to retaliate, experts say it must do so with different measures. Two new scholarships have been made available to directly support new-to-university study for the B For Sc and BE(Hons) Forest Engineering at the University of Canterbury in New Zealand. The first (Nga Karahipi Uru Rakau Forestry Scholarships) is administered by Ministry of Primary Industries and is open to Maori and/or women and this includes people who may wish to upskill into forestry. The awards are NZ$8,000 per year for 4 years and there are two for the B For Sc and two for the BE(Hons) degrees. The link for further information and application details can be found here. Applications close on 31 August. The second scholarship is administered by the School of Forestry and is open to students commencing the B For Sc (two awards) and 1st Pro Year of the BE(Hons) Forest Engineering degrees. The awards are valued at NZ$10,000 each. Closing date for this scholarship is 15 August. The web link for information on this scholarship can be found here. A kilt?" exclaims Archie, "that's braw, you'll look pure smart in that! "And what's the tartan?" Archie then enquires. And one more for you. A bloke was sitting on the couch watching the Super 15 rugby one Saturday afternoon when his wife whacks him on the back of the head with a rolled up newspaper. "What's up with that?" he cries out to her. "You cheating misery guts " you're cheating on me " I'm onto you" she said, "I see you have written "Mary-Claire" on this bit of newspaper " I know what you're up to." "Don't be silly" the bloke says, "it's a horse - I was down at the pub when one of me mates gave me this tip for the races, so I wrote it down on that paper - that's all." "Sorry luv" she says apologetically, and gives him a bit kiss. Next week the bloke is sitting on the couch again and this time - WHAMO - she hits him over the head with a broom. "What's got into you this time?" he cries out. "The horse just rang" she replied.